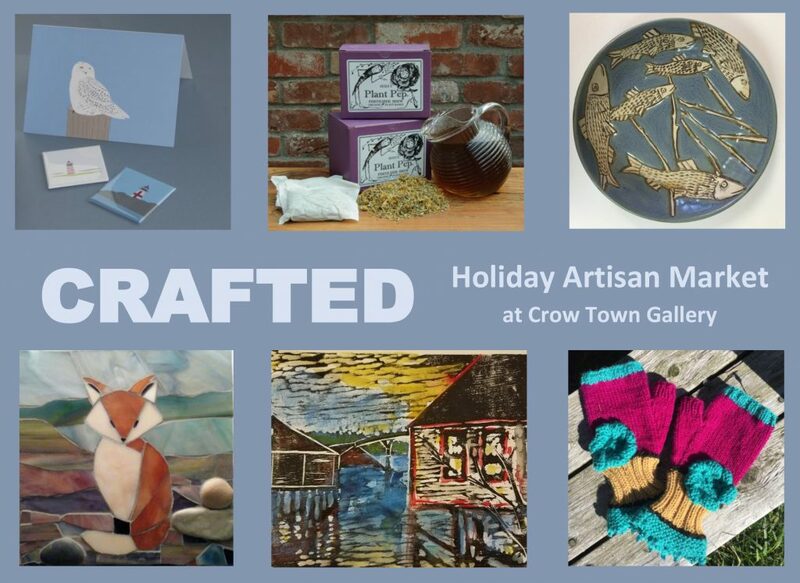 Shop locally-made this holiday season. The event is free admission and open to the public, all ages are welcome, and refreshments will be served. You'll find an assortment of affordable handcrafted works by: Sherry Ashby (woodcuts and painting), Lisa marquis-Bradbury (mosaics), Lisa Dellwo (Timberdoodlz notecards and gifts), Jolene Doran (Down East Fiber Gypsy, hats, mittens, eco-printed scarves, shawls), Heidi Herzberger (Artist and Herbalist with organic spices, teas, and plant pep fertilizer, and coloring books), Kristin Wheelock (Indigo Iris jewelry), and Shanna Wheelock (Cobscook Pottery, and fine art). 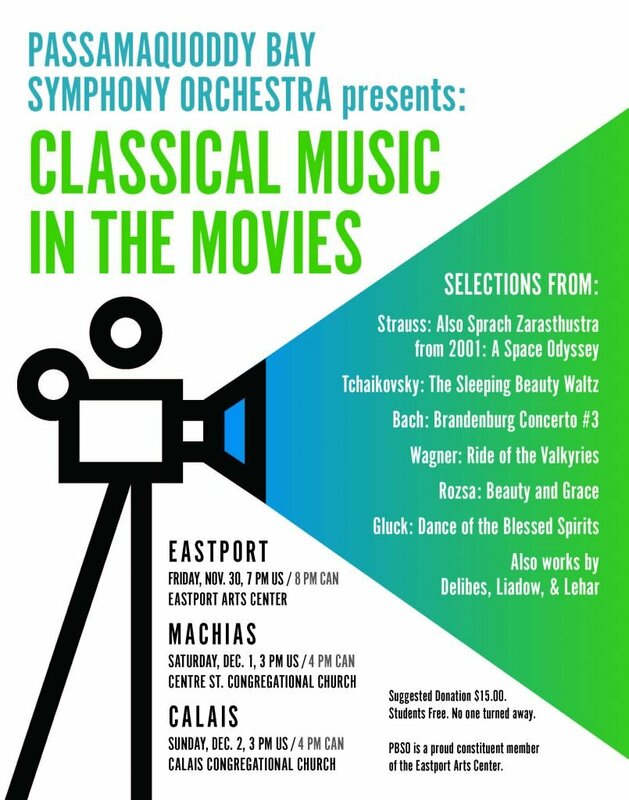 The Passamaquoddy Bay Symphony Orchestra (PBSO) concludes its fall season with three performances of ‘Classical Music in the Movies’: Friday, November 30 at 7 pm at the Eastport Arts Center; Saturday, December 1 at 3 pm at the Centre Street Congregational Church in Machias; and Sunday, December 2 at 3 pm at the Calais Congregational Church. The orchestra will present a unique program of symphonic music used in movies. Some of the pieces, composers and films include: Tchaikowsky’s Swan Lake (Anna Karenina) and Sleeping Beauty (Sleeping Beauty); Wagner’s Ride of the Valkyries (Apocalypse Now); Bach’s Brandenburg Concerto #3 (Die Hard); Delibes’s Pizzicati (Babe); Rozsha’s Beauty and Grace (Diane); and Gluck’s Dance of the Blessed Spirits (Maid in Manhattan).